LOWER YOUR SCORES AND HAVE MORE FUN! Joan King is the only person in western North Carolina (WNC) providing this training for golfers. 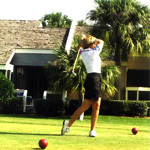 She has coached thousands of golfers nationally and internationally for 25 years. Clients have 24/7 personal access to Joan. 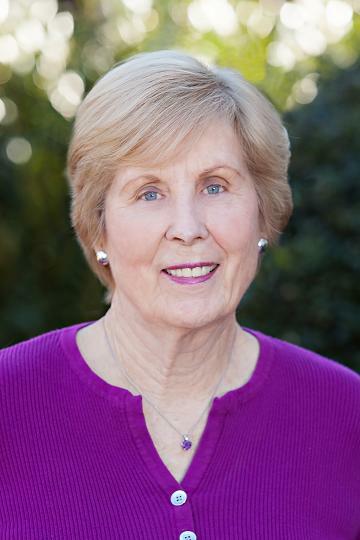 Joan has been presenting mental golf training workshops nationally since 1992, as well as individually training LPGA, PGA, developmental tour professionals and amateur golfers. GOLF IS A GAME MEANT FOR HUMAN ENJOYMENT! DON’T MAKE ANOTHER MENTAL ERROR! You will learn how to use your natural learning skills of visualization, hearing and feeling to gain a greater awareness of yourself and your golf game. Utilization of these skills frees the mind, allowing for sharp focus and concentration, which then results in better shot making and lower scores. Joan’s mental coaching includes hypnosis, Neuro-Linguistic Programming, and other mental rapid change modalities to permanently reprogram self-sabotaging limiting thoughts and emotions into self-empowering successful beliefs. Learn how to be a winner! I am playing without tension and having more fun. I am not getting down on myself as often and when I do I recognize it more readily and the effect it has on my body. Getting better at shrugging off miss-hits and keeping my golf game in perspective. In short, I am having more fun. You restored my confidence and faith in my golf swing so that I can now swing without thinking. All areas of my mental game are improving. Joan's sessions showed me how to "play" the game of golf and deal with my emotions more effectively. The "Self-Hypnosis for Playing in the Zone" tape has been very beneficial. I can access an area in my mind that I can go to whenever there are stresses in golf or in my life.